I’m posting now about the inexpensive case of mixed, everyday red wines I put together as a complement to the dozen everyday white wines I talked about two posts back. We drink a lot of white wine at Casa Maresca, but we consume even more red. I’d guess that two out every three, maybe three out of four, dinners we make call for red wines – and since I care strongly about making the wine and food play happily together, it means I like to keep a good variety of red wines on hand. And that means, of course, reasonably priced wines, for all the obvious reasons. Enough prologue: Here’s the list. In selecting this batch of wines, I was not trying to be experimental, to try new wines or kinds of wines I’m not familiar with. Food compatibility was the goal, and compatibility with the kinds of food we cook every day was the guiding principle of selection. 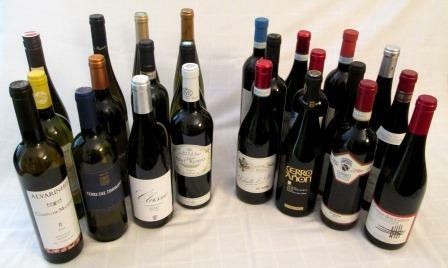 Hence the preponderance of Italian wines on the list, and especially the large presence of Piedmontese wines, which I think are particularly food-friendly, and which – happily – are available in good variety in the New York area. Barbera and Dolcetto I find are especially useful. Barbera’s medium body and high acidity make it compatible with an extraordinary range of foods, from – to choose a few random examples – asparagus frittata to tomato-based sauces to grilled sausages or even steaks, especially gamy cuts like skirt steak or hanger steak. Dolcetto is softer-bodied and far less acid, and it loves buttery sauces, mushrooms, more delicate meat – especially veal in any form. Nero d’Avola is also medium-bodied, and on the palate feels and tastes Merlot-ish. Its strong suits are stews and brown-sauced casseroles – really any dish that isn’t aggressively sauced or spiced. 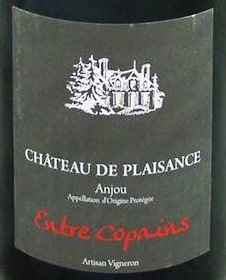 Even more useful – the utility infielder of red wines – is that perfectly named Anjou red, Entre Copains – “among pals,” which is how I envision large quantities of this wine must be drunk on its home turf. It’s 100% Cabernet franc, which is a Loire valley specialty, and this is one of most welcoming versions of it I’ve encountered. Its pleasing, soft, generic red fruit would match with anything from a good pizza on up the culinary scale to simple roasts and grilled meats. It’s practically the definition of an enjoyable everyday wine. The Côtes du Rhône wasn’t quite that all-niches useful: By itself, it was a fairly light, high-acid Rhône, with cherryish fruit and a good finish, but it rounded nicely and gained some flesh with food, especially with cheese. The Baga from Filipa Pato was also surprisingly soft on the palate and versatile with food. It stood up well, for instance, to mideastern spiced lamb meatballs and to Indian chutneys and pickles. Filipa is the daughter of Luis Pato, the acknowledged master of this grape in Portugal, and with this particular wine she has chosen a different path from that of her father’s formidable bottles. The Grignolino and Freisa are more specialized wines that I couldn’t resist buying, since I don’t encounter them that often. Both are light-bodied, light-fruited reds ideal for warm weather quaffing, which is exactly what I’m saving them for. I should have done that too with the Colli Senese Chianti: These are always at-most-medium-bodied and fruity, with a touch of Sangiovese elegance, but this bottle was a tad too light for matching with cold weather dinners. The Marzemino was another wine I selected simply because I don’t get many chances to taste it. This one turned out to be a big, not entirely balanced wine, black-plum fruited and a touch hot: It loved steak and mushrooms, but wasn’t too happy with anything else. The two Riojas – Crianza and Reserva, at opposite ends of the aging spectrum – were both a bit disappointing. I love Rioja and find it very useful as a dinner wine, but of these two bottles the Reserva was too young of its kind and yet still too important for everyday utility, while the Crianza had been exposed to too much oak, which diminished its freshness and charm. I won’t give up on Rioja, however: I’ll just have to sample some others. And there’s my necessary excuse to order some more wine. Diane, look away. By March, in New York, the wine season shifts into high gear. National and regional promotional groups presenting wines from all over the world stage elaborate tastings; importers of a few wines and importers of many hundreds of wines display their entire portfolios; visiting winemakers offer their own wines at stand-up or sit-down tastings or lunches or dinners; and a conscientious wine journalist risks cirrhosis, or at very least indigestion, nearly every day. I know, I know: “It’s a tough job, but somebody has to do it.” I can hear your sarcasm clearly. And I freely admit it’s not all penitential. 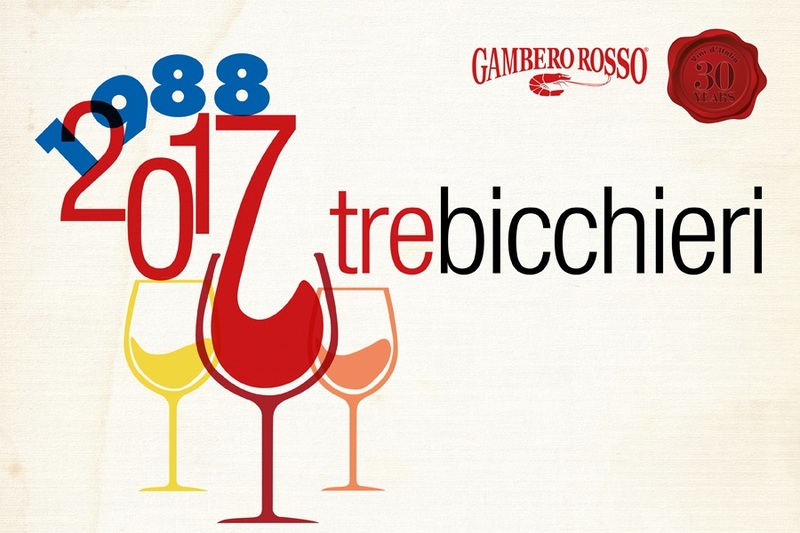 One of the annual events I’m always happy to attend is the Gambero Rosso Tre Bicchieri tasting. It’s always crowded, and at its worst, getting a taste of the most popular or famous wines can be a little bit like trying to break through a rugby scrum, but it’s always worth the effort. The 2019 edition of Gambero Rosso’s annual guide Italian Wines runs to over 1,000 pages and includes more than 2,300 wineries and 25,000 wines. 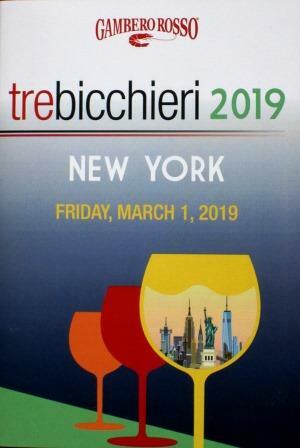 Nearly 400 producers were awarded its highest rating of Tre Bicchieri (three glasses), and almost 200 of them sent wines to the New York presentation. Need I say I didn’t even try to taste them all? There were 190 tables set up, with one producer and one to three wines per table: I leave you to guess what fraction of them I managed to taste. Those I did taste I found uniformly excellent: The Tre Bicchieri award still designates the topmost rung of Italian winemaking. (That emphatically doesn’t mean that a wine without Tre Bicchieri can’t be magnificent, but it does mean that a wine with Tre Bicchieri usually will be very fine.) Of the wines I sampled, here are those that impressed me most. For one, I Favati’s 2017 Fiano di Avellino Pietramara, a poised and elegant example of one of Italy’s finest white wines. This was matched by Villa Raiano’s 2016 Fiano di Avellino Ventidue, a very polished and deep version of the grape. Pietracupa’s 2017 Greco di Tufo similarly showed the quality of Campania’s white varieties. Then there was Pieropan’s 2016 Soave Classico Calvarino, a deeply mineral and complex wine from a master of the breed. And, from the Marches, La Monacesca’s 2016 Verdicchio di Matelica Mirum Riserva, an exceptionally full-bodied and deeply flavored wine that drinks well from its youth but is noted for its longevity. Still among white wines, the 2016 version of Livio Felluga’s perennial award-winner Rosazzo Terre Alte just shone. Blended as always of Sauvignon, Pinot bianco, and Tocai Friulano, this wine achieves a balance and fullness – and ageability – that rank it among Italy’s – and the world’s – great white wines. And – lest I forget – I did taste one sparkling wine from a producer I had not known before, Villa Sandi: Its Cartizze Brut Vigna La Rivetta showed wonderful light fruit in a fully dry and savory package, as elegant as a Prosecco can get. 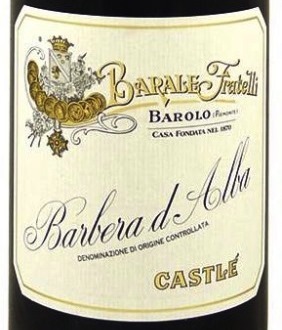 Ca Viola’s 2013 Barolo Sottocastello di Novello was a trifle woody for my taste but intensely aromatic and attractive. Vietti’s 2014 Barolo Roche di Castiglione is a big wine that returns to the classic style of this great house. Equally big and balanced was Elvio Cogno’s 2013 Barolo Ravera Bricco Pernice, a wine I would love to be able to taste in 20 years. The final Nebbiolo-based wine I tried was Nino Negri’s 2015 Valtellina Sfursat Cinque Stelle, a wine of tremendous complexity both in the nose and on the palate. After Piedmont, my next largest cluster of reds came from Tuscany: probably no surprise there. All are long-time favorites of mine that express beautifully the many nuances of the Sangiovese variety, and none disappointed. After that, I managed to taste a small selection of other reds, mostly from Campania. The big exception to that geographic limit was Masi’s magnificent 2013 Amarone Costasera Riserva (another wine I’d love to taste in 20 years). Then I sampled Donnachiara’s 2016 Aglianico, a spicy, underbrushy wine that testifies to the steadily improving quality of red wines at this already successful white wine house; and Nanni Copé’s outstanding, unique 2016 Sabbie di Sopra il Bosco, a wine of great elegance and depth crafted from the rescued-from-the-brink-of-extinction Pallagrello nero and Casavecchia varieties. I would have been happy to taste more – my palate was still working and my tongue still alive – but by this point the scrum had grown too thick and combative (why will people plant themselves right in front of the spit bucket?) for my aging bones, so I retrieved my coat and hat and gloves and headed out into the cold with enough anti-freeze in my system to see me safely home. “One Fine Wine” is an occasional series of short posts about wines I’ve enjoyed recently. I’m lucky enough to drink a lot of good wine often, which is fine by me: Its downside is that I get lulled into thinking that high quality is just ordinary. Wrong, but I hope understandable. Every now and again, I rouse out of my trance and realize that this “ordinary” wine I’ve been sipping at is, really, one fine wine, and I ought to be paying more attention to it. My latest instance of this was a very youthful bottle of Castellare Chianti Classico, the 2014 vintage – an infant, to be sure, but what a beautiful baby! Whatever nastiness is going on in the greater world, we live in a golden age of wine. There is more good, sound, drinkable wine being made now in more places than ever before in human history. True as that is, the number of master winemakers – individuals who have the skill and insight and touch to rise with the best vintages but not fall with the worst, and who can navigate the zigs and zags of our increasingly quirky weather – that number remains very small, and one of those rare individuals is Alessandro Cellai, for many years now the winemaker at Castellare di Castellina. Castellare’s most sought-after wine is I Sodi di San Niccolò, a single-vineyard blend of Sangiovese and up to 15% Malvasia nera, aged in barriques – a lovely, complex wine for long cellaring. It is a perennial Tre Bicchieri winner, and correspondingly expensive. I Sodi is a great wine, and I drink it whenever it comes my way. But I think that Alessandro Cellai’s greatest accomplishment isn’t I Sodi, fine as it may be, but what so many of us wine dorks tend to overlook (and even to dismiss): his base wine, his year-in, year-out, drink-every-day Chianti Classico. No elaborate winespeak here; this is simply a lovely wine, juicy and drinkable from its release, easily capable of a few years of aging, and perfectly happy to match with almost any food you can name. 95% Sangiovese (of very carefully selected clones) and 5% Canaiolo, aged in big barrels, this is traditionally made and traditionally styled Chianti of the highest order, and to produce it at this level, vintage after vintage, is an accomplishment any winemaker anywhere should be proud of. One fine wine indeed! Let me beat this particular horse for a few sentences more: Most of us who write about wine get caught up in the search for excellence, the pursuit of rarity, the quest for a new flavor, a startling new experience. That’s understandable and forgivable, I hope, and great if and when we find it – but how many people in this galaxy are ever going to have the chance to taste one of those rarities? Galahads (we wish!) on our quest for that grail, we forget that far more important for the happiness and pleasure of a much greater number of people are really excellent wines made in decent quantities and available almost everywhere (at least with a bit of effort). That is exactly what this delightful Castellare Chianti Classico brought home to me: that I and my colleagues should write more for real people and less for collectors – who, as far as I can tell, don’t read us anyway. Everyone knows that there are many fine Chianti Classico producers who, vintage after vintage, offer well-made wines redolent of lovely Sangiovese fruit and undertones of their various soils, wines that show what Italians call, most honorifically, tipicità. “Typicity,” in English, doesn’t quite capture it: Authenticity might be closer. 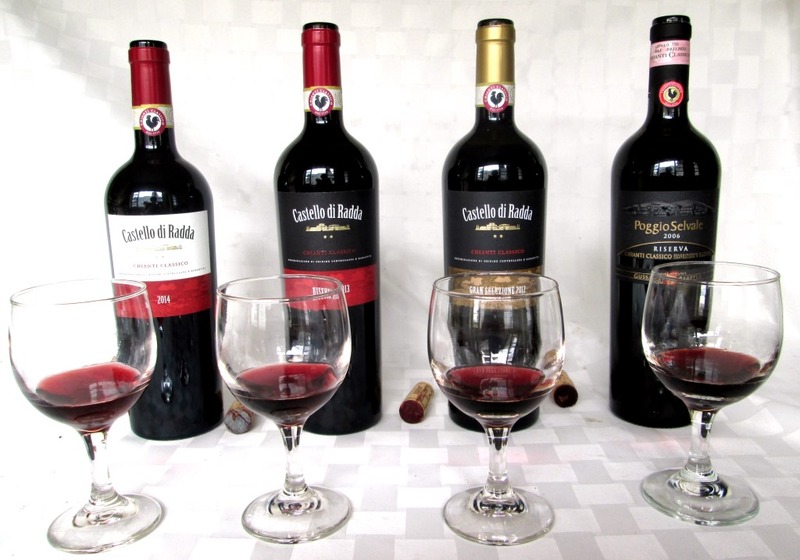 One of the best of these lovely Chiantis, one of the most authentic and typical and, at the same time, most distinctive, is Castello di Volpaia. If I had to choose just one place in the Chianti Classico to show a visitor what Tuscany once looked like, and what its enduring charm is, that place would be Castello di Volpaia. Its beauty, its serenity, immediately captures the imagination. It certainly holds a very special place in my heart as a quintessence of Tuscany. It’s not a castle in the same way Brolio is. Rather, it was in the Middle Ages a fortified village, a small walled town perched on a ridge in the commune of Radda, a bastion of Florence against its eternal enemy Siena. Its serenity and tranquility came centuries later, as local warfare died down and peace and prosperity grew in the countryside. Over the years, portions of its walls and battlements were removed (a few remain), more houses were built, and the vineyards extended. 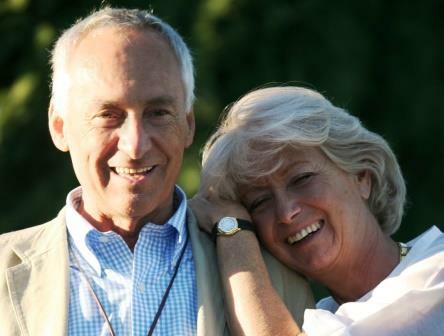 Since taking possession of the village in 1972, Giovanella Stianti and her architect husband Carlo Mascheroni have devoted their best efforts to preserving it and steadily improving the vineyards. Signora Stianti’s father had acquired the property in the mid-60s and gave it to the couple as a wedding present. It has become their life-long passion. Of the village, more later: Let’s speak now of the vineyards. 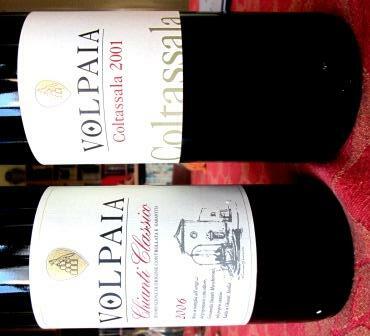 They were in pretty good shape to start with, since for some centuries the wine of Volpaia had been prized, but the family has systematically experimented with clones and root stocks and training systems to bring them among the best cultivated in the Classico zone, and they are what form the heart of Volpaia’s distinctiveness. First of all, they are high for this part of Tuscany, probably in fact the highest in the Classico zone, ranging from a low of about 450 meters to a high of about 650. That makes for a very long growing season, with big day-to-night temperature differentials, which in turn produces great aromatics in the wine. Additionally, the soils in Volpaia’s vineyards contain much less clay and more sand than most other parts of the Classico. These contribute a distinctive set of trace elements to the wine. So the characteristic Volpaia wine is less full-bodied and forceful than many other Chiantis, but it is also and always more elegant, more nuanced, and – according to my experience – even in merely middling vintages more structured and capable of graceful bottle aging. You can see why I love it: I’ll opt for elegance over power every time. Power impresses on the first taste, but over the course of a bottle it wears you out: It’s the same with every swallow. Elegance impresses on every taste. Over the course of a meal it adapts to and changes with each dish, becoming slightly different with each. For me, that’s fascinating, and that’s what Volpaia consistently delivers. For me and many other Tuscan wine fans, the Coltassala and the Chianti Classico Riserva are the superstars, wines of depth and nuance and, always, elegance. Over the past month, I’ve been drinking bottles of those two from several vintages – 2000, 2001, 2004, 2006 – and they have been without exception beautiful examples of what Sangiovese and great Tuscan winemaking are all about. They are all perfectly alive and vigorous, with years of bottle life before them – but about 15 years of age is when I like to drink them. It’s a sweet spot, where fresh fruit subsists beside the beginnings of more mature flavors and neither dominates. For me, that is pure pleasure. Now the village of Volpaia. Signora Stianti and her husband built Volpaia’s modern winery, sheltering its components within existing medieval buildings and structures of the ancient town. Since this is a protected historic site, that meant that when, for instance, the piping for the winery was laid beneath the streets of Volpaia, every single cobble of each street had to be removed, numbered, and replaced in its exact location. The same care was exercised on the facades of every single building in the town, and the original appearance of the ancient streets was scrupulously preserved in its entirety. That is what has made Volpaia one of the most evocative spots in an area filled with fragments of ancient towns and castles. To indulge in my favorite sort of overgeneralization: In California, it seems, dentists and proctologists buy boutique vineyards; in Italy, insurance companies and machinery manufacturers set up whole agricultural divisions. So the Beretta company, for instance (manufacturers of, among many other things, James Bond’s favorite tool), has an agricultural arm, Agricole Gussalli Beretta, which owns and operates vineyards in several parts of Italy – Franciacorta, Piemonte, Alto Adige, Abruzzo. 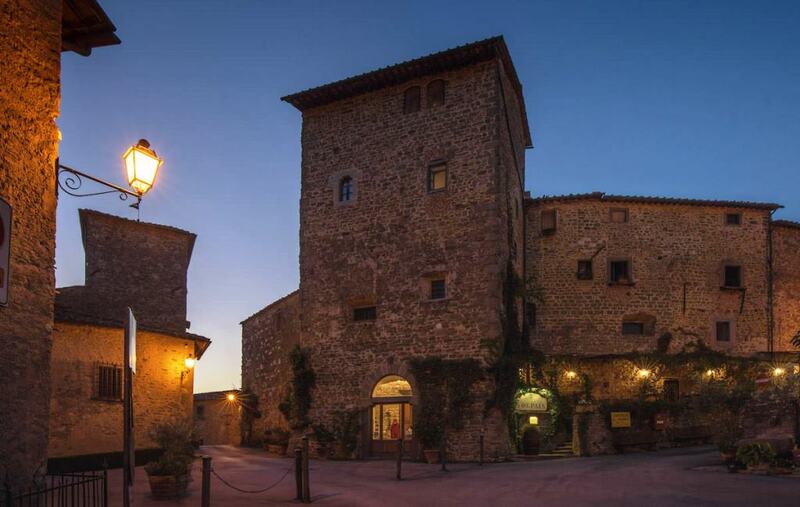 In Tuscany, its holding is Castello di Radda, a Chianti Classico estate in the heart of the traditional zone. The idea of corporate ownership of vineyards may cause a reflexive shudder or two, but it is not necessarily the character-eviscerating phenomenon you may suppose: Everything depends on the choices and aims of the owners. To use an example close to home: Corporate ownership of Ridge Vineyards has in no way compromised the character of its wines. So too in Italy, many corporately owned vineyards produce wines of high quality and solid reputation, and Castello di Radda is certainly one of these, with two Tre Bicchieri awards already in its young history. Besides – let’s get real about this – what is Antinori, or Frescobaldi, or for that matter Mouton Rothschild, but a corporation, and a sizable one at that? The Beretta family – yes, it’s a family, just like Antinori, Frescobaldi, and Rothschild – started Castello di Radda in 2003, working literally from the ground up, with vineyard choices and a largely subterranean winemaking facility, an anything but old-fashioned cellar. 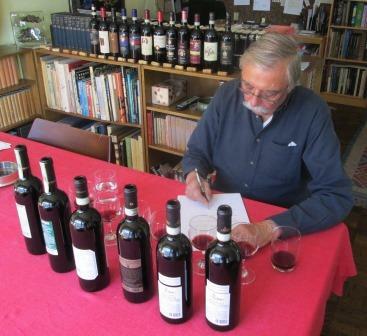 The great Tuscan master Maurizio Castelli has served as the guiding spirit and chief enologist for some years now. The man and the location – Radda is about as central to traditional Chianti as one can get – are clearly spot on. So are the wines. The estate specializes in 100% Sangiovese Chianti Classico. Its Chianti Classico Riserva has twice won Tre Bicchieri, and its other wines, especially its Gran Selezione, are beginning to attract critical attention. In 2017, Castello di Radda began converting all its vineyards to 100% organic production. This is certainly an estate to watch: As its new vineyard practices settle in, and as its vines mature, Castello di Radda seems poised to move into the upper echelon of Chianti estates. Dry earth and dried berry aroma. Lightish palate, with lots of bright acidity, very typical of the Radda area. Good tannins and light cherry/berry fruit. Long leather/dried cherry finish. Very pleasing drinking. Biggish berry and tobacco nose. Fresher fruit than the 2014 vintage (this is the wine that was recently awarded Tre Bicchieri). Good balance. Some complexity already beginning to show. Very long finish. A distinct step up from the 2014, which is the proper relation of a Riserva to the normal bottling. Dried berry, tobacco, and earth scents. Fuller body and darker fruit than the preceding two wines. Fine acid/tannin balance sustaining complex fruit flavors. Very persistent finish. Again, another notch up, as it should be. Similar aroma to the Gran Selezione. A touch mute on the palate. Subdued (just coming out of mute phase?). Elegant and round, but not very forthcoming. This single-vineyard wine dates from the estate’s earliest days, so at first I didn’t know whether its reticence showed some tentativeness in the winemaking or just a stage in the wine’s evolution. Later, after it had time to breathe, the wine showed much more flavor and structure. The key thing for me was that the three wines from the 20-teens provided plenty of interest now and point a good way for the future of Castello di Radda. In the Tuscan wine world, barons and marquises – scions of old land-owning families – abound, but among all those titles there are very few princes or princesses. 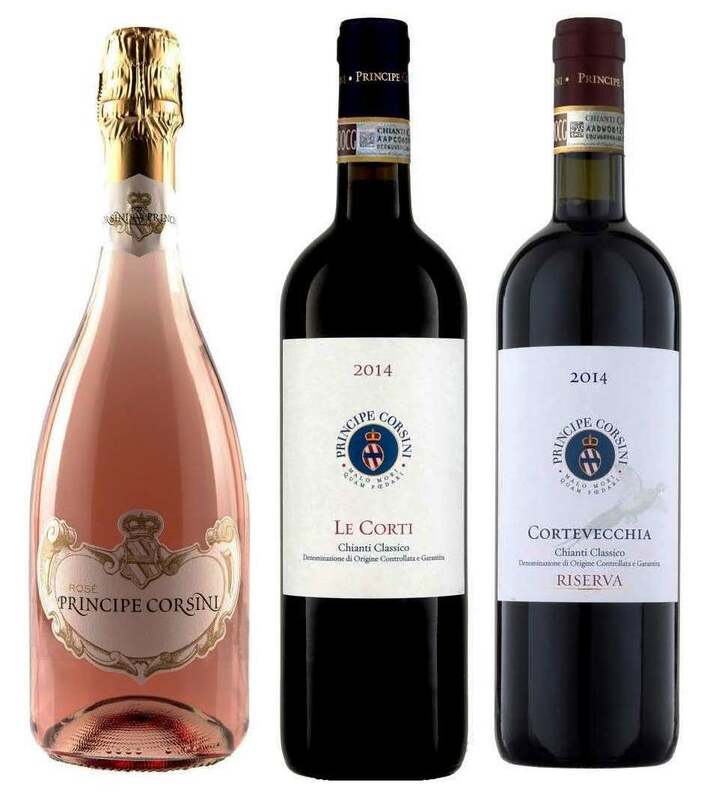 Principessa Coralia Pignatelli produces Castell’in Villa, an almost cult wine among Sangiovese admirers, but the only other of princely rank I am aware of is Duccio Corsini, the Principe Corsini of the Le Corti estate. That lofty title, however, is far from the winery’s only distinction, as I and a few other journalists had the opportunity to discover over a recent dinner at the restaurant Babbo. Duccio Corsini wears his distinguished heritage lightly, and he speaks with genuine passion of the wines his distinctive Tuscan terroir yields. Le Corti lies in San Casciano in the Val di Pesa, about halfway between Florence and Greve, so in the northwest of the Chianti Classico zone. Its soils consist of much less of the marl and clay that mark most of the Classico zone, but are largely alluvial, filled with what Duccio refers to as “river pebbles,” many much closer in size to what we would call cobblestones. If my memory of a long-ago visit serves, several of the vineyards resemble hilly versions of Châteauneuf du Pape, with more stone showing than soil. 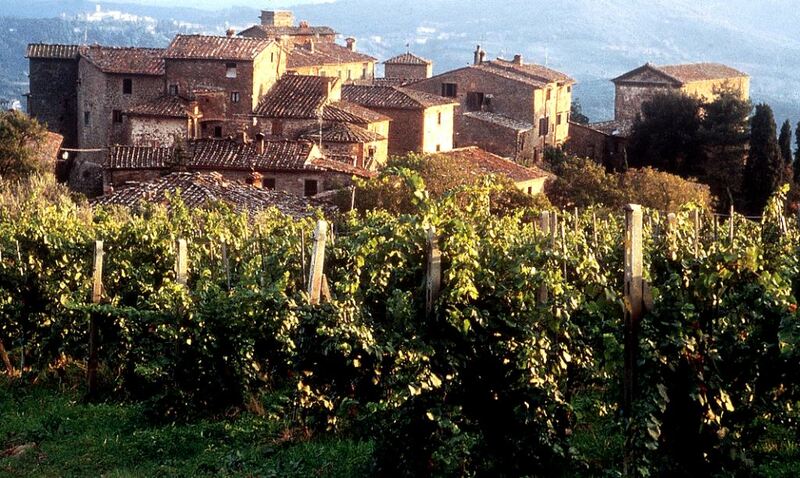 That terroir yields wines that show real differences from many Chianti Classicos. 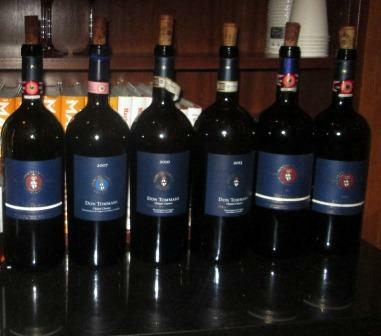 That evening at Babbo we tasted through a six-vintage vertical of the estate’s flagship wine, Don Tommaso Chianti Classico Riserva DOCG (now Gran Selezione): 1998, 1999, 2000, 2007, 2010, and 2013. Over those years, the composition of the wine gradually evolved from 95% Sangiovese and 5% Merlot to 80% Sangiovese and 20% Merlot, which it has been for about 10 years now. It used to age for 15 months in new oak barriques, now it rests in tonneaux (70% new, 30% used) for 18 months, plus at least a year in bottle before release. This was a striking tasting. Don Tommaso’s consistency in style from vintage to vintage was admirable: All the wines were of medium weight, all were elegant, balanced, and complete. None smelled or tasted at all of new wood. On the palate, they were squeaky clean, with wonderful Sangiovese black-cherry flavors and acidity, undergirded by an intriguing set of earth tones – not quite what we usually call minerality, but not clay, or mushrooms, or anything underbrushy either. Quite fascinating, and quite impressive: These are top-flight Chianti Classicos, with tremendous aging potential. The three oldest wines were still fresh and vital: In fact, the ’99 was my favorite wine of the evening, and I suspect it probably has a good 10 years at this plateau of quality in front of it. As enjoyable as they all were to taste – even the very young 2013 – these were very clearly dinner wines that would grow in dimensions and pleasure with food. With dinner, we happy few tasted a different selection of wines. After a glass of a sparkling rosé made from 100% Sangiovese that served brilliantly as a palate cleanser and apéritif, we sat to an abundance of far-too-tasty-for-anyone’s-good antipasti and pastas, accompanied first by Le Corti Chianti Classico 2014 and then by Cortevecchia Chianti Classico Riserva 2014. The Chiantis were both thoroughly enjoyable, classically Tuscan wines, sapid and juicy – the kind of wines whose appeal is so clear and direct that even non-winedrinkers would instantly realize that what was in their glass was something special. Both wines were vinified from 95% Sangiovese and 5% Colorino, the latter an ancient Tuscan variety. The main difference between them stemmed from their aging: The Classico spent 12 months in either cement or large wooden casks, while the Riserva aged for 20 months, partly in big oak casks and partly in tonneaux. The Riserva of course showed more depth and complexity, but neither wine tasted of anything other than the purest Sangiovese flavors – cherry and a hint of tar, that intriguing, un-namable goût de terroir, and a long aftertaste of drying fruit and – just maybe – a little leather. With the main course, we were offered a very special wine called Fico, which Corsini believes represents the shape of the future for the Le Corti estate and perhaps for all of Tuscan wine. This project was initiated by his son, who died last fall in a tragic accident. The wine is 100% organically grown and organically vinified Sangiovese. We tasted the 2015 pilot vintage, of which only 280 bottles were made, so this was a rare privilege. Even beyond its rarity, it was one of the most striking Tuscan wines I have ever tasted. Every one of us journalists had the same reaction to our first sip: Pinot noir! Excellent Pinot noir! And yet it was all unmanipulated Sangiovese. That was the front and middle of the mouth. The back of the mouth and the finish were pure Sangiovese, but that opening taste – and this persisted as we drank our way through the bottle – showed us all a dimension of Sangiovese that we had not known existed. I’m sorry to get so geeky about where-on-my-palate-I-tasted-what, but something like this doesn’t happen every day, and I found it pretty exciting. It is going to be very interesting indeed to see where Principe Corsini goes with this. Dinner concluded more conventionally (for Tuscany) – but no less deliciously – with an over-abundance of desserts and very welcome glasses of Sant’Andrea Corsini 2004, a Vin Santo made from Malvasia and Trebbiano. In Tuscany, an elegant Vin Santo like this one would be served to a guest as a welcoming toast. Outside Tuscany Vin Santo is most often used as a dessert wine or digestive, which role it on this occasion played admirably, sending us all off into the chilly, slushy New York night warm and content. Like Michael Corleone, just when I thought I was out, they pull me back in. In my case, I keep trying to break away from Tuscan wine for a while – after all, I love lots of Italian wines, and even French, Spanish, and German wines too – but I keep discovering important items about Tuscany that I really ought to comment on right now, while they’re timely. Case in point: I’ve done some articles for QRW.com about recent releases of Brunello and Chianti Classico, but I haven’t said a word about them here. That’s a bad oversight, omitting a lot of important wines, and it needs fixing. So here goes. 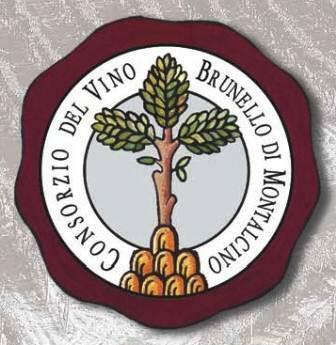 The 2011 Brunello di Montalcino is now being released. Some of the earliest bottles are already here, and more will be arriving by fall. This is an iffy vintage: The weather was, to put it very mildly, not great, and a lot of not-great wine was made. But some of the best producers in this prestigious zone more than justified their reputations by making some very fine wines – not big, tough, wait-ten-years-to-drink’em Brunellos, but atypically accessible and charming wines that are a joy to drink now, have lovely Sangiovese character, partner well with all sorts of food, and should last nicely for five to (at the outside) ten years. In short, delightful wines, typically Tuscan in taste and style, available for enjoying while you’re waiting for Brunello’s 2010s and (probably) 2012s to soften up and become drinkable. 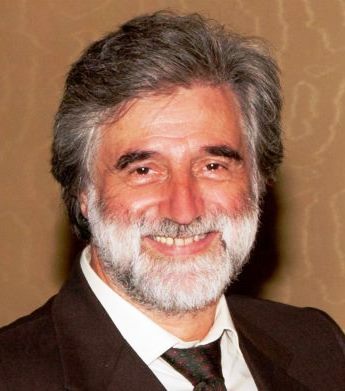 Altesino Montosoli. Delicate and elegant, with charming fruit. A little licorice in the finish. Canalicchio di Sopra. Fresh and very structured, with dark, woodsy fruit. Intensity without heaviness. May age well. Ciacci Piccolomini d’Aragona. Lovely cherry/berry fruit, lively acidity, great poise; an excellent wine already. Col d’Orcia. Slighter fuller and bigger than the preceding wine, but every bit as fresh and charming. Costanti. One of the biggest wines of this batch, but still fresh, fruity, and vivid. A long fruit salad of a finish. Donatella Cinelli Colombini. Slightly smaller scale than the Costanti wine, but still excellent. Donatelli Cinelli Colombini Prime Donne. Very balanced, very elegant. Its fresh woodsy fruit hides its substantial muscularity. Quite fine. Fuligni. Its balance and structure strike you first, then its already-mellowing fruit and acidity. May age very well. Lisini. Beautiful fruit, all cherry and sotto bosco. Medium body, nice balance. Padeletti. Very similar to the Lisini, with a long licorice and cherry finish. Nice. Poggio di Sotto. Very fine. Live and fresh. Good fruit, fine balance. Very composed and welcoming. Le Potazzine. A good wine with some heft; nice dark fruit, very persistent. Talenti. A biggish wine with a lot of evident structure; may age very well. In Chianti Classico, the situation is much more complicated, because the zone is much more varied than Montalcino’s and producers often hold their wines before release for longer than the minimum aging requirement, so that several different vintages from different producers can appear on the market at the same time. Consequently I tasted a very mixed bag of vintages and producers, which makes it hard to offer any useful generalizations – mostly, I can just tell you what I liked. 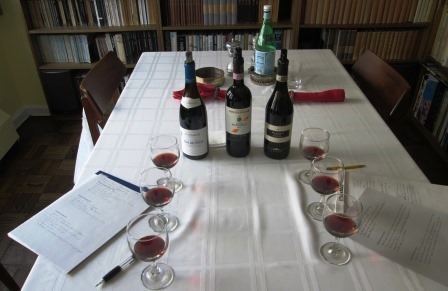 I tasted a lot of just-bottled 2014 basic Chianti Classicos (even some barrel samples) and almost as many 2013s – the “simple” Chianti Classico DOCG designation. The Castellare particularly was elegant, round, and long-finishing, already composed for so young a wine. The other wine that tied for my top spot in this vintage was Volpaia, which opened with a beautiful light woodsy/cherry nose, and a palate that followed suit – a fresh and charming wine with rich, satisfying fruit. The 2013 weather was drier and warmer, with a perfect September. It gave wines with much greater balance and charm and a lot of true Sangiovese character. They can be drunk with pleasure now and will hold nicely for at least five years, perhaps more. 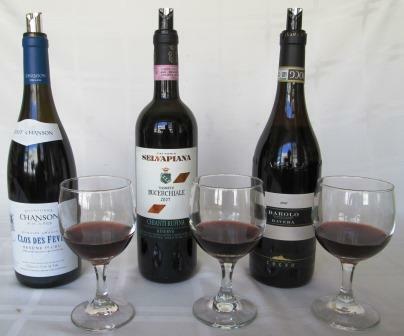 In this group, my top wines were Borgo Scopeto, nice and soft and relatively full-bodied; Carobbio, with nice cherry-mulberry-chocolate nuances; the nicely balanced San Giusto a Rentennano; and Poggiopiano, the best wine of the group, which was rich with lovely Sangiovese fruit and perfectly balanced. 2012 reversed the weather pattern of ’14: Dry with blazing heat all summer long, it broke in late August and early September with cooler temperatures, much-needed rainfall, and perfect day-night temperature variations, resulting in a small crop of really fine Sangiovese. The great majority of the wines of this vintage that I tasted were fine examples of their breed. The ones I liked best were Castello di Meleto and Castello Monterinaldi, both finely fruited and well balanced; the always elegant Castello di Volpaia; Clemente VII, from the exceptionally good co-op Castelli de Grevepesa, Lamole di Lamole, from vineyards on mineral-rich soils near Greve, and the outstanding Fontodi, from Giovanni Manetti’s meticulously maintained vineyards in the Conca d’Oro of Panzano. I tasted only two 2011s, one, Peppoli, from Antinori, which was quite satisfying on the palate but with a (for me) slightly annoying woody nose, and the other from Castello di Cacchiano, which has become a cult wine in Italy, at least in part because it holds its wines so long before release. This was truly lovely, with an enchanting Sangiovese nose and wonderful fruit and elegance. And from 2010, I tasted only Poggiopiano’s La Tradizione, which was also wonderful – still young and live, with beautiful Sangiovese fruit and excellent acid/tannin balance. This is not a cru, but a selection of the best grapes from several vineyards, and it is a wine to look for in any vintage. And then there are a few wines from Chianti Classico’s new Gran Selezione designation. The best of the 2012s I tasted was clearly Fontodi’s Vigna del Sorbo — probably my favorite wine of the whole tasting. It will improve for several years yet, and should last many years beyond that. Among a handful of 2011s, the standout was Bibbiano’s Capennina, very structured and very elegant, a very fine wine at a very reasonable price point. Also impressive was Lamole di Lamole’s Vigneto di Campolungo. In 2010, Castello di Volpaia’s Il Puro, a 100% Sangiovese, really impressed me with its heft and structure: It seems built to last decades. The sole 2009 example I tasted was Castello di Cacchiano’s Millennio, and it was just lovely: soft fruit, fine balance, great mouth feel. These are all the kind of wine that make me hope this new Chianti Classico category may truly be a triumph. To use a cliché no wine journalist can resist, Tuscany is always in ferment – which is partly why I’ve given Tuscan wines so much attention recently. But also, many of the wines are just plain good, and, while many of those are already well known, others deserve more attention than they’ve been getting. A case that fits all those points is Bibbiano, a 150-year-old, family-owned estate that is making excellent Chianti Classico and conducting some very interesting experiments, as well. 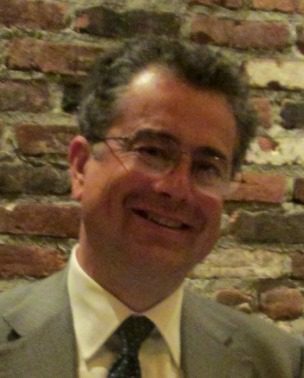 I recently had lunch with Tommaso Marzi, the just-turned-50 proprietor (with his younger brother Federico) of Bibbiano and its very peripatetic face in the world. 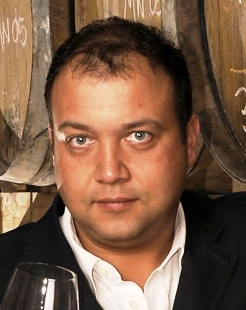 He is an enthusiast, which in my book is the prime quality needed in anyone working in any capacity in the wine world, and he is very knowledgeable about his vineyards and their qualities. Bibbiano’s fields lie in the western reach of the Chianti Classico zone’s fabled Conca d’Oro, a ridge of splendid soils and exposures that arcs west from Castellina in Chianti toward Val d’Elsa. 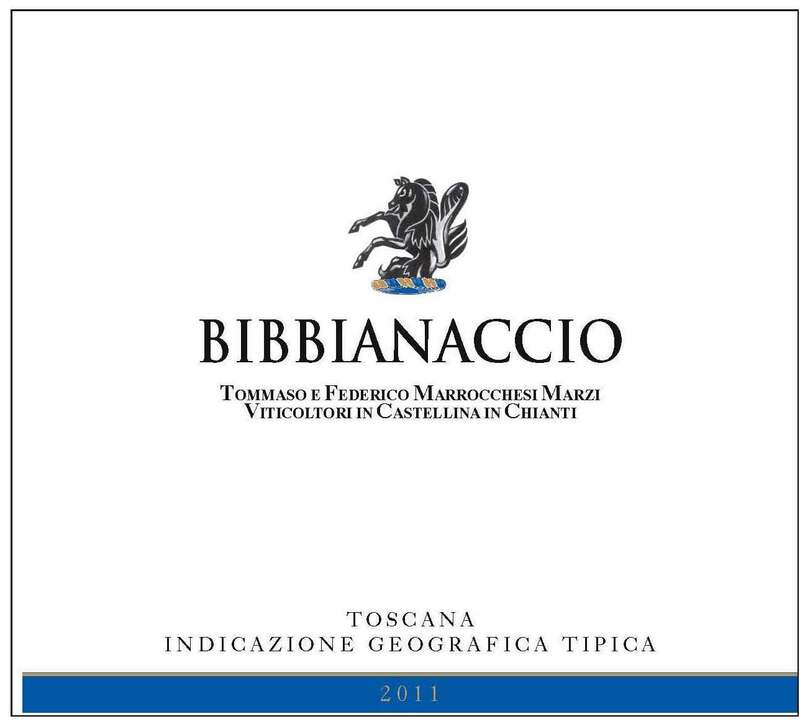 The Bibbiano estate contains two large swatches of vineyards, Montornello in the northeast and Capannino in the southwest. 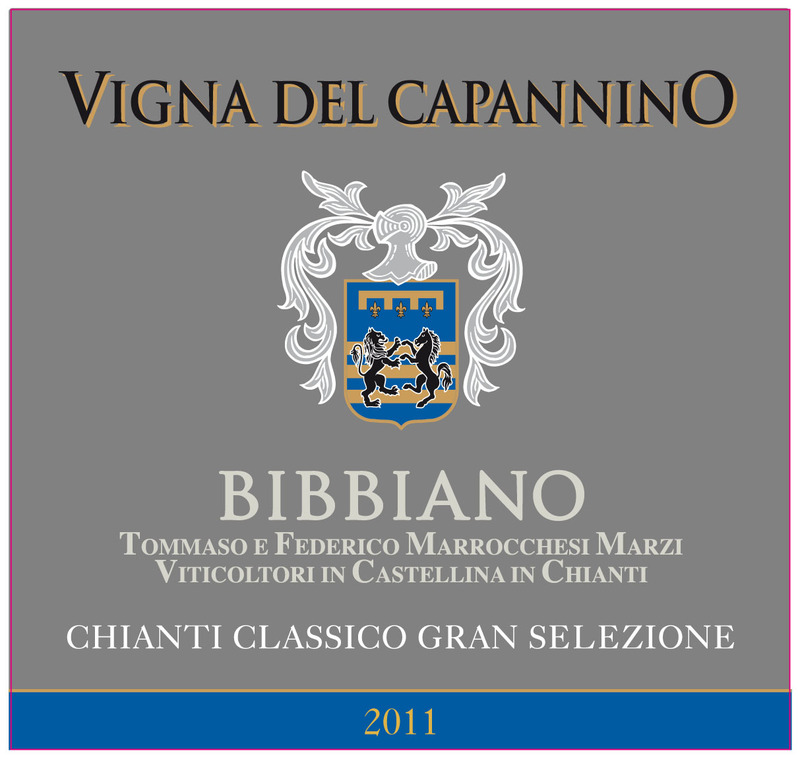 These are often bottled as separate crus, and Capannino provides the source of Bibbiano’s Gran Selezione. 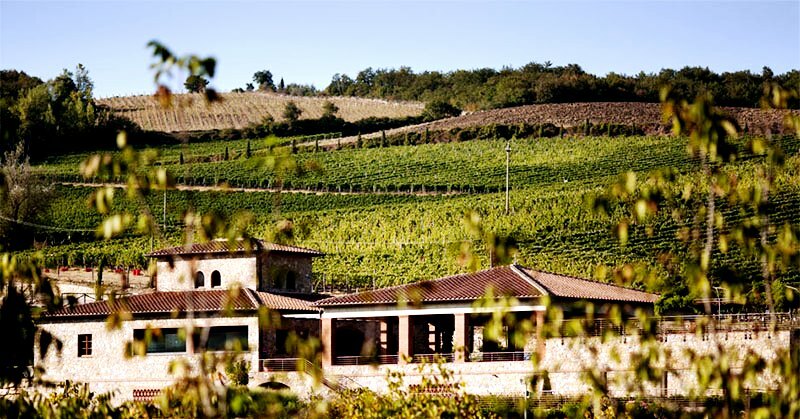 For many years, Bibbiano’s vineyards and cellar were under the care of Tuscan doyen Giulio Gambelli, for decades the most respected nose and palate in the whole region. He is credited with keeping Bibbiano in the forefront of traditional Chianti winemaking, and in particular with planting in its field clones of Sangiovese grosso ultimately derived from his days of working with Tancredi Biondi Santi. Over a light lunch at Il Buco Alimentaria, we tasted an astutely chosen array of Bibbiano’s bottles, which showed both the charms of the young wines and what their older siblings are capable of. First, Chianti Classico 2014. This was a very pretty wine, blended from all the estate’s vineyards and totally untouched by wood. Fermentation on the skins started in stainless steel and finished in cement vats. All native grapes: 97% Sangiovese, 3% Colorino. Nicely balanced, fresh and lively (excellent acidity), with gentle plum flavors emerging as it opened in the glass. 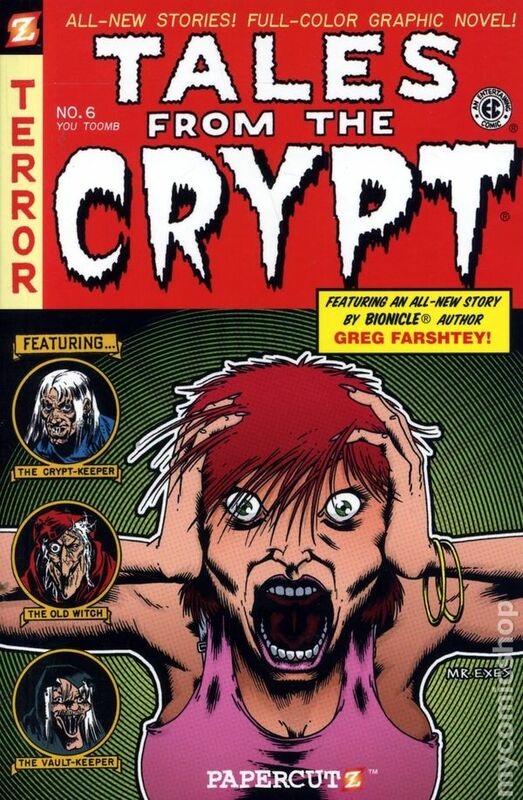 And a good buy, at a suggested retail price of $22. Chianti Classico Riserva Montornello 2013 was next. That emerging plum flavor in the basic Chianti was much more pronounced in this wine, which also shared the fine balance of the first. This was vinified entirely from Sangiovese from the 13-hectare northeast vineyards and aged in barriques and tonneaux for 18 months. I didn’t inquire, but I’d guess they were well-used barrels, because I detected no wood or vanilla or espresso – just fine fruit and underbrush scents and flavors in this substantial, very young wine. Also nicely priced: SRP $27. Then we tasted Chianti Classico Riserva Montornello 2000, just to see how these wines develop. The answer is, beautifully. 2000 was a very warm year, and the wine, though very much alive, did show signs of the heat in its slightly elevated alcohol. But the key fact is that the wine was live and lithe and enjoyable, which a lot of 2000s aren’t, and it grew more pleasing as it opened in the glass. It loved Il Buco’s fried rabbit, a dish whose paradoxical delicacy and strength could challenge many another wine. 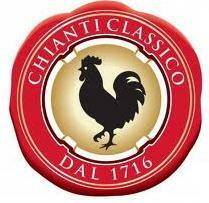 Next up was Chianti Classico Gran Selezione Vigna del Capannino 2011. Made entirely from Sangiovese grosso grapes, this wine originates on a soil rich in limestone in the vineyard that Signor Marzi regards as having the best exposure and microclimate on the estate. Harvested in the second week of October; 25-day maceration and fermentation on the skins; partly aged in French tonneaux and partly in Slavonian oak barrels. This wine seemed very young but already strikingly elegant. An excellent wine, with classic Sangiovese flavors, it has great structure: It needs and will take lots of time. At an SRP of $40, I think it’s a bargain for a wine of this degree of cellar-worthiness. It was probably the wine of the day for me. Chianti Classico Gran Selezione Vigna del Capannino 1995 followed, to make clear just what the potential of this vineyard is. I’ve been lucky enough over recent months to have drunk a lot of 1995 Chianti Classico Riservas (which is technically what this wine is, the Gran Selezione category not having been in existence in 1995), and they have been uniformly wonderful: It was a great vintage, and it is maturing beautifully.This wine was easily one of the best I’ve tasted: a gorgeous tobacco/funghi/cherry nose, lively on the palate, with a similar medley of flavors supported by great acidity – no sign of tiredness at all. Simply a very, very fine Chianti Classico, showing, at 21 years of age, just what a choice vineyard can do. The final red wine of the day was Bibbianaccio 2011. This is an experimental blend, vinified from grapes drawn from all over the estate: 50% Sangiovese, 44% Colorino, and 6% Trebbiano and Malvasia. That’s correct: there are some white grapes in there, alongside that huge amount of Colorino. Fermentation took place in open barrels and included some of the woody stalks. After that, malolactic fermentation and 12 months’ aging in French oak tonneaux, then another 12 months in Slavonian oak botti, and finally 6 months in bottles before release. I found this wine intriguing: Its fruit was complex, on both the nose and the palate – an improbable combination of berries and apples, tobacco and mushrooms, finishing long and leathery. It had perfect acidity to lighten the weight of all that Colorino. An interesting and different wine, which was all the more haunting because it was also familiar. Here Bibbanaccio is returning in several respects to what Chianti Classico used to be, when the old formula based on the 19th century Baron Ricasoli’s researches was the norm. That formula mandated some white grapes in the blend. Now they are forbidden, and wine using them cannot label itself Chianti Classico: How the world changes! But anyone nostalgic for what Chianti Classico at its best used to taste like will love this wine. I know I did.